To improve search engine indexation and user navigation on a Magento web store, ecommerce merchants should think about using HTML and XML sitemaps tools, since default Magento platform does not provide sufficient functionality for this. That шы why another Magento extension we are going to describe today is MageWorx Sitemap Suite. The MageWorx Sitemap Suite Magento 2 toolkit provides merchants with everything they need to create advanced fully-optimised HTML and XML sitemaps. The module is designed to improve user experience by creating a snapshot of all your website links in the form of a Magento 2 HTML sitemap. 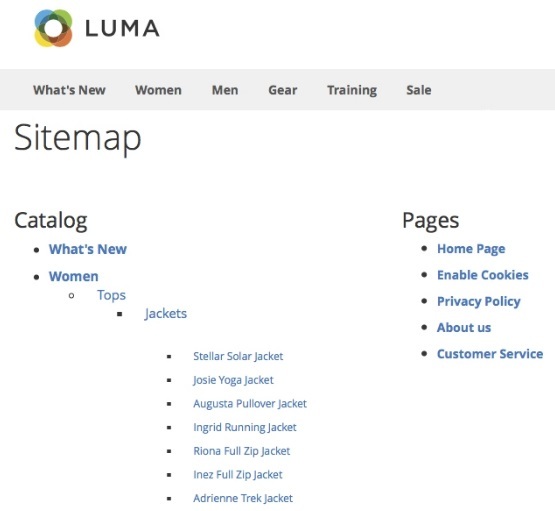 It means that HTML sitemap will collect all your website links in a table of contents on one page, providing visitors with a comprehensive overview of your site layout. As a result, your store visitors get better navigation through your ecommerce website structure and can reach the pages they need faster. Besides, you can help search engines, which do not understand HTML sitemaps, better crawl and index your store pages with the Magento 2 XML sitemap. Since XML sitemap includes files with all URLs on your web store that need to be indexed in search engines, Google will faster identify important information about relevant pages and their updates. 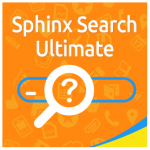 Thus, with the extension, you significantly improve search engine indexation and your website’s SEO in the long term. Moreover, the MageWorx sitemap module is fully compliant with all Google requirements. It is also necessary to mention that MageWorx Sitemap Suite not only provides the following opportunities, but adds a lot of advanced settings to the default sitemap creation process, and below we shed light on them. 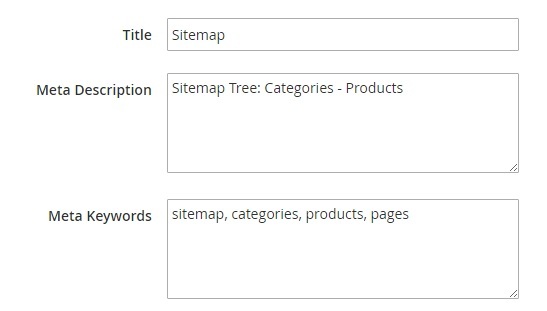 One of the most important features you will get with the MageWorx Sitemap Suite is a convenient overview of your website structure, including store views, categories, CMS and product pages, and other links. 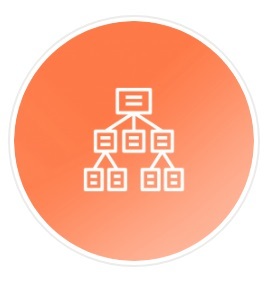 The module allows you to create separate HTML sitemaps for different Store Views, which is very convenient since each group of customers gets relevant information in their language (Magento 2 multiple sitemaps feature). 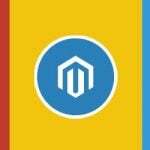 It is also possible to split all store links by category names, as well as set the maximum category depth level – total number of category links displayed on a Magento 2 sitemap page. Besides, the MageWorx Sitemap Suite Magento 2 and 1 extension lets you define product sorting order (by name or position). You are also free to add extra links to your Magento 2 HTML sitemap and choose whether to display CMS pages or not. Setting a trailing slash for website URLs, including the homepage, is also possible. As for the Magento 2 XML sitemap, MageWorx Sitemap Suite provides the ability to enhance the default solution significantly. The extension offers a toolkit with a bunch of extra features, so you can quickly crop a homepage identifier from your home URL and set its priority to 1.0, as well as add third-party links specifying their change frequency and priority. Moreover, admin users are enabled to exclude out-of-stock products, as well as any product, category, or CMS page from the XML sitemap. With the module, it also becomes possible to generate XML sitemap directly from Console and auto-disable URLs with literal characters. The extension main settings are available under Stores → Settings → Configuration → MageWorx → SEO → HTML Sitemap / XML sitemap / Common Settings For Sitemaps. In the section related to the HTML sitemap, you decide whether to show stores and categories and choose the maximum category depth level. Next, you should choose whether to display products or not. Note that it is better to disable the feature if you have many products. Otherwise, your sitemap will be too large and inconvenient. If you do not have too many items on your website, then you can display them according to the category display mode. It is also necessary to choose how product URLs are utilised. Two available options are Use Categories Path and Root. Besides, you should specify a sort order for categories and products (by position or name). Then, you enable or disable CMS pages, as well as additional and third-party links, and decide about excluding any pages from the sitemap. Note that you have to specify additional links by creating a comma-delimited list of links and link labels to append to the sitemap. Three other sections are related to meta data: title, description, and keywords. In the XML Sitemap settings, you enable homepage optimisation and allow using additional links. If additional links are enabled, you should specify them, as well as their frequency and priority. Lately added features of the extension allow excluding out-of-stock products from your XML sitemap, as well as enabling or disabling URLs validation. As for the Common Settings For Sitemaps, this section lets you choose what to do with a trailing slash for the homepage and other URLs. While everyone understands the importance of a good sitemap, not everyone knows how to create it without a headache. Therefore, we recommend you to pay attention to third-party modules, such as MageWorx Sitemap Suite. The tool is available for both Magento 2 and Magento 1. Though M2 extension does not have all features offered with its older brother, it gets updated continuously. Since all updates are guaranteed to be free, it is a great reason to purchase the suite right now. As for the MageWorx Sitemap Suite Magento 1 extension, it costs $49. 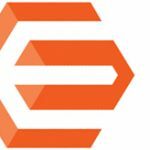 If you already have the Magento 1 module installed and want to upgrade it to M2, you may ask for a 50% discount!